Share your taxi with other people with the help of a website or an app. It's a great alternative to getting a taxi, or driving a car, on your own, it's affordable and hassle free. Shared travel-to-work service available Monday to Friday, between 7-10am and 4-7pm. 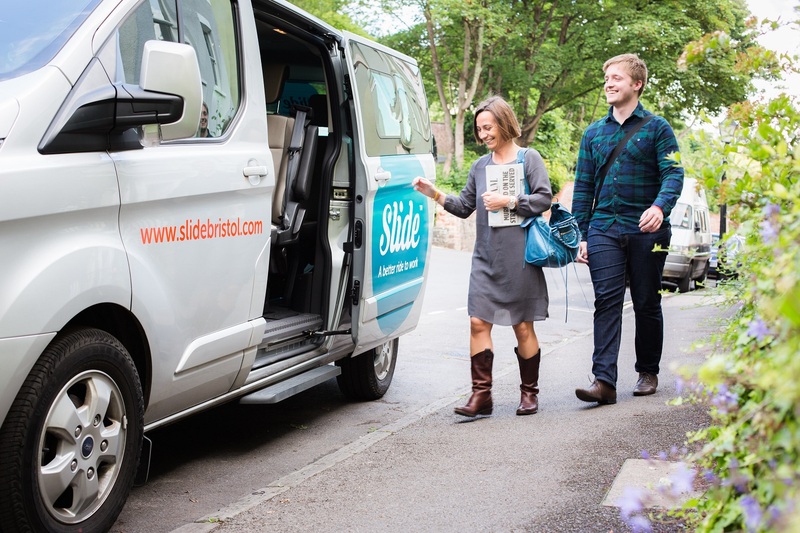 Find out more about Slide Bristol. The service is only for commuters at the moment so it runs in the key area between the city centre and up to the north of the city. You can find a map of the service area on the Slide Bristol website. The service is likely to expand in the coming months so sign up on the website or follow @slidebristol to stay informed.